Install intercom / doorbell - MrFix finds you a reliable electrician within 3 hours. Install intercom / doorbell - MrFix finds you a reliable electrician within 3 hours. Install intercom / door bell? Electrician service MrFix! Ik zoek een witgoedmonteur in Amsterdam om een wasmachine te repareren. Op 3 maart was er een probleem met de wasmachine op de 2e verdieping waardoor water naar beneden lekte en één circuit in huis niet werkte. Stuur a.u.b. geen elektricien van Nanie. Installing devices like intercom, door bell or video camera in most cases requires installing new electricity cables. In order to have it done in a safe, professional en nice way we recommend hiring an electrician. Installing electrical cables for devices like intercom, door bell, etc. Installing new electrical cables means pulling them through small tubes or fixing them nicely. This requires experience. 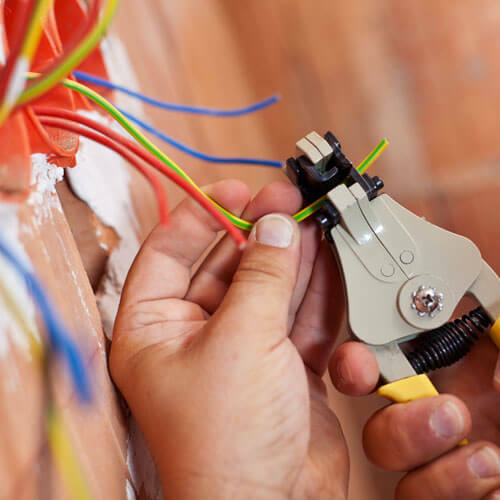 Home repair service MrFix gets you a qualified electrician for installing new or rerouting present cables. We work quickly, conveniently and at fair rates. It’a simple: fill out the form and we will match your job with the right professional within three hours. Easy, right? If necessary MrFix has an electrician available today. Make your “DETAILED DESCRIPTION OF JOB” as precise as possible: please specify materials, locations, measures, obstructions or other limitations. Electricity brings you comfort and convenience but it may also bring dangers. That is why it is wise to use MrFix to have a qualified electrician to check your electrical system. For urgent jobs you can contact MrFix. 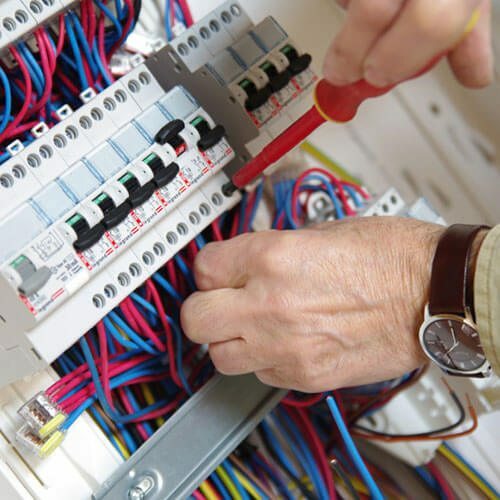 We will connect you to the right electrician for your electrical job within 3 hours, and often faster than that. For jobs that must start within 24 hours, after 18h or on weekends we charge a surcharge of 50%. Some electrical jobs, such as power failures, simply cannot wait. That is why MrFix has an electrician ready for emergency situations 24 hours a day, also on weekends. Our qualified electricians will do electrical jobs in the West and Centre of The Netherlands quickly. We serve the whole western conurbation (the Amsterdam, Haarlem, The Hague, Rotterdam, Utrecht area) but also the central part of The Netherlands, up to and including Eindhoven and Apeldoorn. Need an electrician in your region to install an intercom /doorbell?